In North Miami, good people can get hurt. Sometimes it is their own fault. Other times it is due to the negligence of another person or company. People can also be injured through intentional acts meant to harm or kill. If you were injured due to the negligence or intentional actions of another, then you should call the North Miami Injury Lawyers at the Wolfson Law Firm. Our North Miami accident lawyer and personal injury attorneys have assisted personal injury victims in Miami since 1963. Helping injured people in North Miami make a full, fair and complete recovery following an accident is our number one job. Once we meet with you we will immediately begin our investigation into your accident. 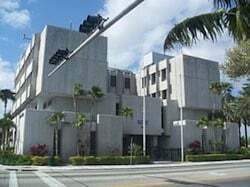 Our North Miami lawyers will review the facts and available information to make a determination of who is at fault and who is responsible for your injuries and damages. We will then advise you on what we believe to be your best course of action. You are always in control because you are the client. You are in charge of your case. Our North Miami injury lawyers work for you and we never forget that fact. Our job is to provide you with solid professional advice so that you can make an informed choice. If you want to discuss your North Miami accident injury case, just call us at (305) 285-1115 for your free consultation. Our personal injury attorneys represent North Miami residents injured in all negligence cases. If you were hurt due to the intentional or negligent act of another, you should consult with a North Miami personal injury attorney. You should never be a silent victim. Be your own best advocate and get the answers you need. Once you are hurt, your life changes. You should get the best help you can to make sure the responsible party is held accountable. You owe that to yourself and to your loved ones. If you have lost a loved one in an accident, the North Miami wrongful death lawyers at the Wolfson Law Firm can represent you and your family in a wrongful death claim. Our North Miami personal injury lawyers can assist you if you were injured due to the intentional or negligent acts of another. You never pay a fee unless we make a recovery for you. 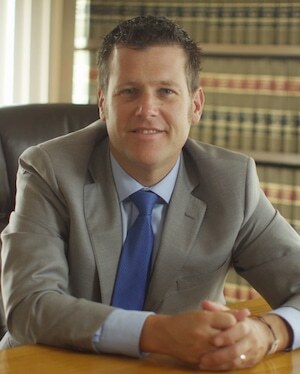 We have a bilingual injury legal team and our Managing Attorney Jonah Wolfson is a bilingual wrongful death lawyer and personal injury attorney in North Miami. Just call us at (305) 285-1115 for your confidential and free consultation. Make sure that you get the answers you require and the justice that you and your family deserve. Our Miami personal injury lawyers are here to help the residents of North Miami and the surrounding communities of Aventura, North Miami Beach, Sunny Isles, Golden Glades, Opa Locka, Ives Dairy Estates, El Portal, Edgewater, Wynwood, Midtown, Golden Beach and Miami Gardens.